Instead of typing results from our skaters who attended the 2016 Country Skateland Invitational in Oberlin OH, this picture is worth 1000 words. Six kids brought home 21 medals and a lot of good memories. I am soooo proud of our team members. Special thanks to Coach Nick Rock for motivating the kids in his freestyle workshop. And big hugs for the host team, coaches and rink operators for making us feel at home! This is always a fun meet with a great judges panel. 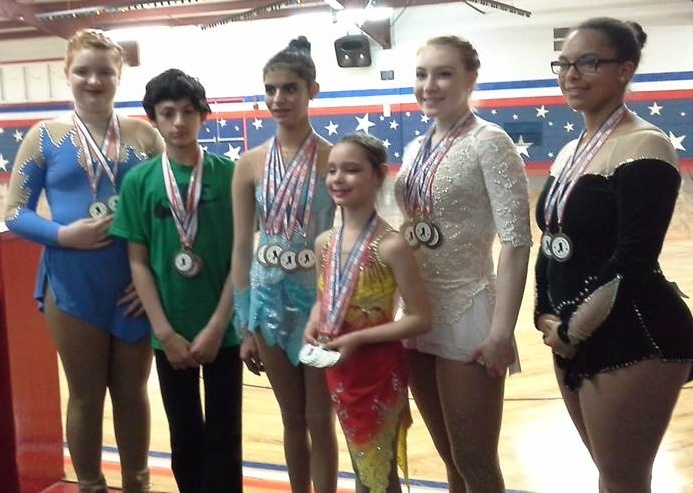 Our team skated real good at the local Utica MI meet the next day, too. Many were sick or worn out from blizzard travel, but those who were able to skate would make you proud to be or know TeamSk8!! !